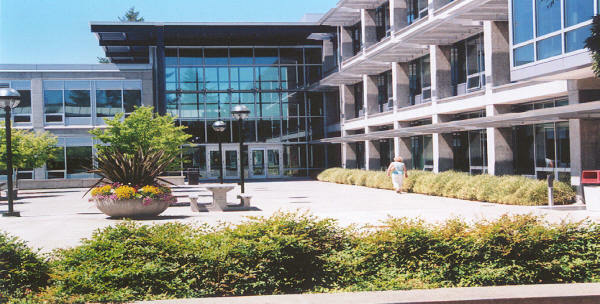 Completed in fall 2001, the R Building project involved an expansion of classroom and faculty office space to accommodate an increasing student population. 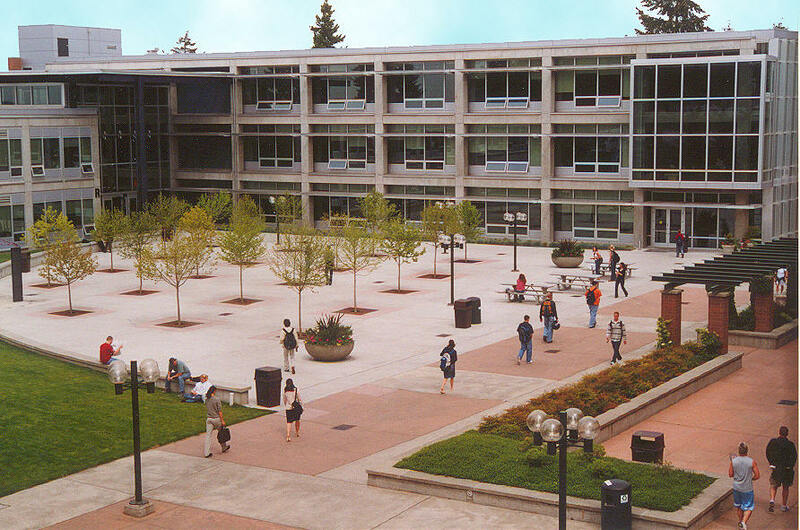 Incorporating elements from existing campus architecture, the 80,000 square- foot building consists of a three-story classroom wing and a two-story office wing connected by a glass-enclosed student commons area. 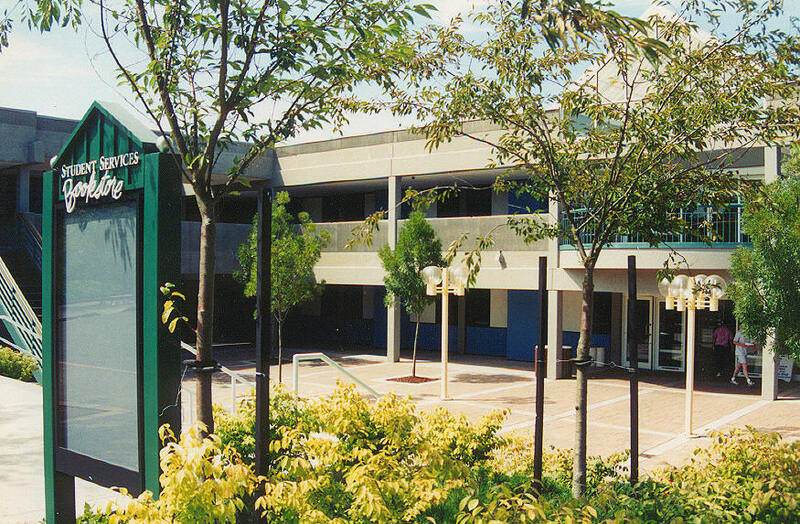 The classroom wing is anchored with another glass- enclosed student commons area, providing students with interior study spaces. 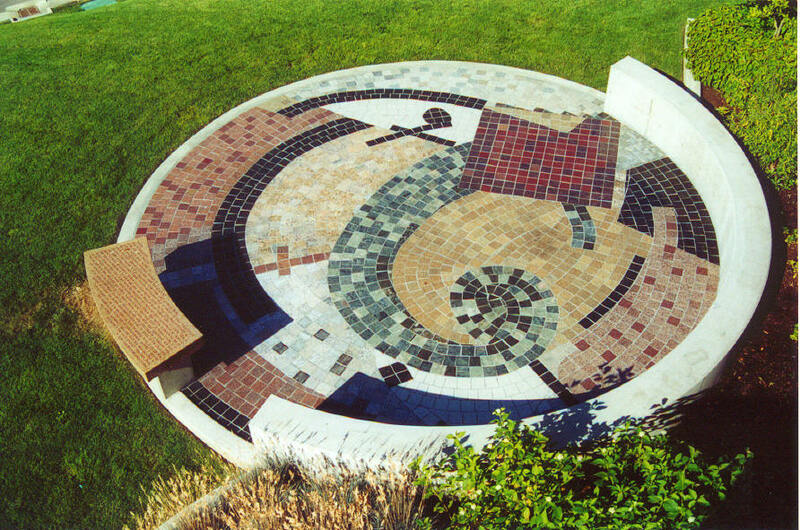 Connecting the two wings is a large plaza with patterned concrete paving. 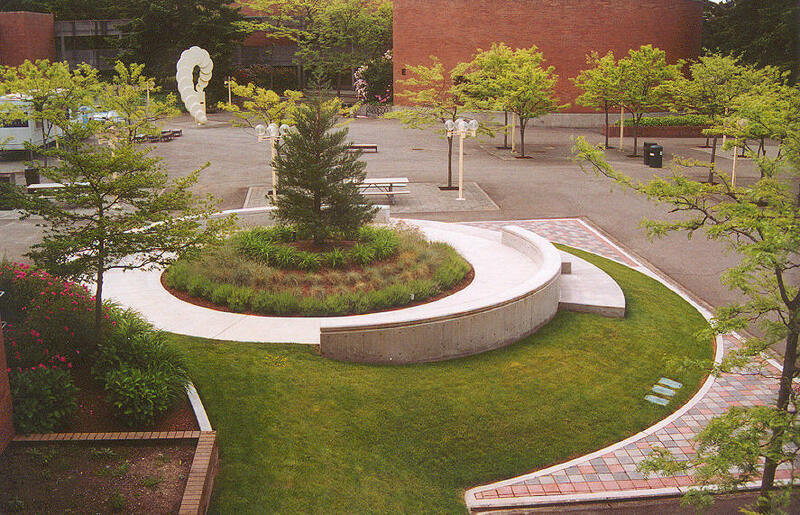 The plaza consists of an expanse of concrete paving broken up by a grid of Katsura trees, Cercidiphyllum Japonicum, in tree grates to increase the usable area within the plaza. 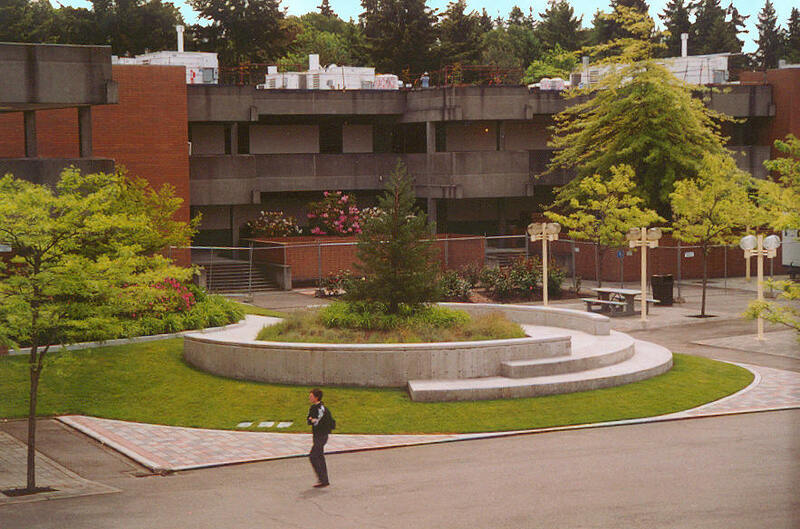 The trees are accented with a band of colored concrete surrounding each grate. 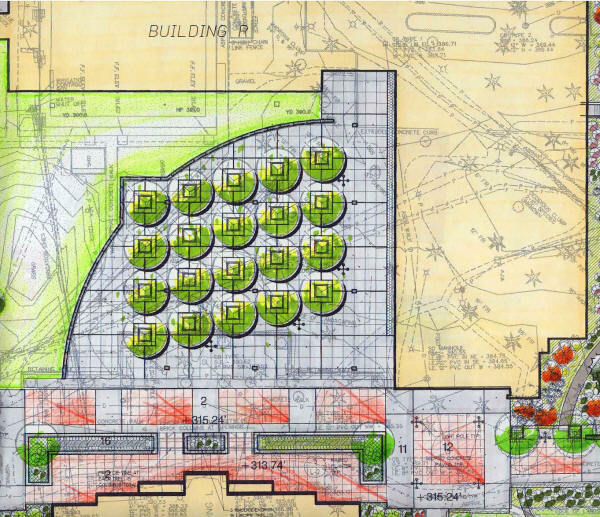 A long, curved seat wall provides seating and a barrier from the new bermed lawn area. The west entry is accented Katsura street Trees and plantings of Ceanothus, Dogwoods, Viburnum, Lavender, Rhododendron varieties and spirea to provide color and scent. 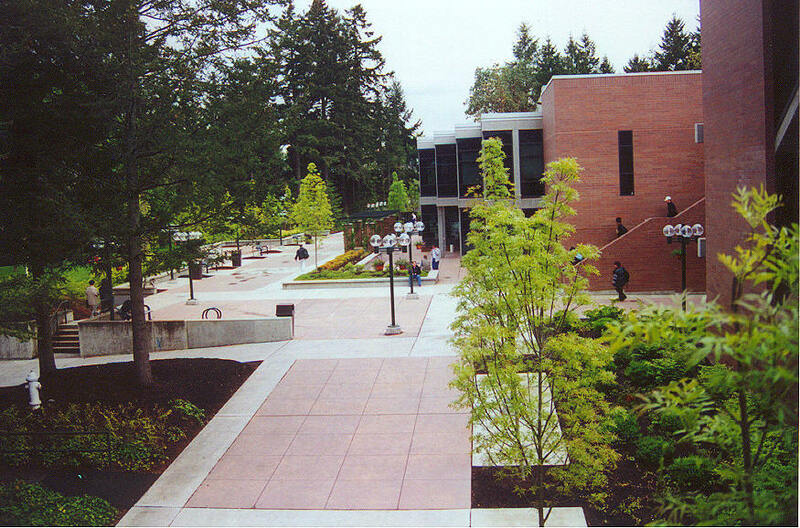 The north side of the building incorporates the landscape theme of the campus with salal, Rhododendron varieties, Yellow and Redtwig Dogwoods and Vine Maples. 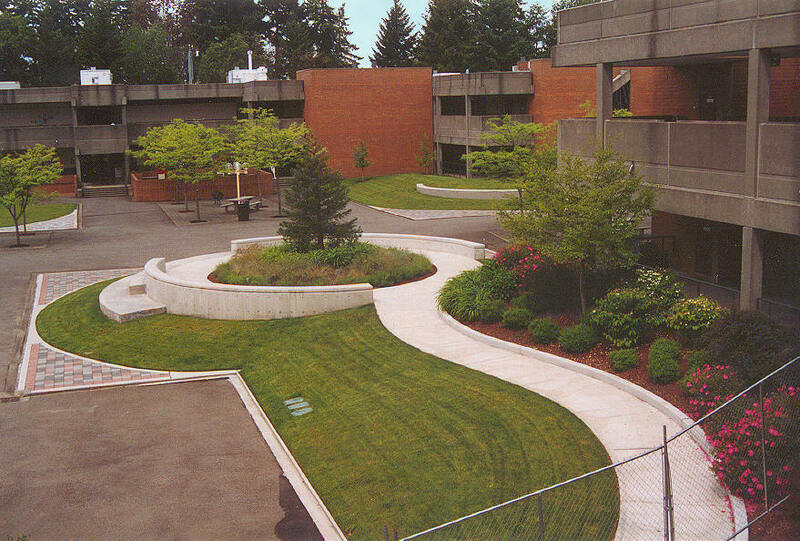 Completed in 1999, this Bellevue Community College courtyard renovation involved the removal of an existing ivy bed to create a new bermed lawn area. 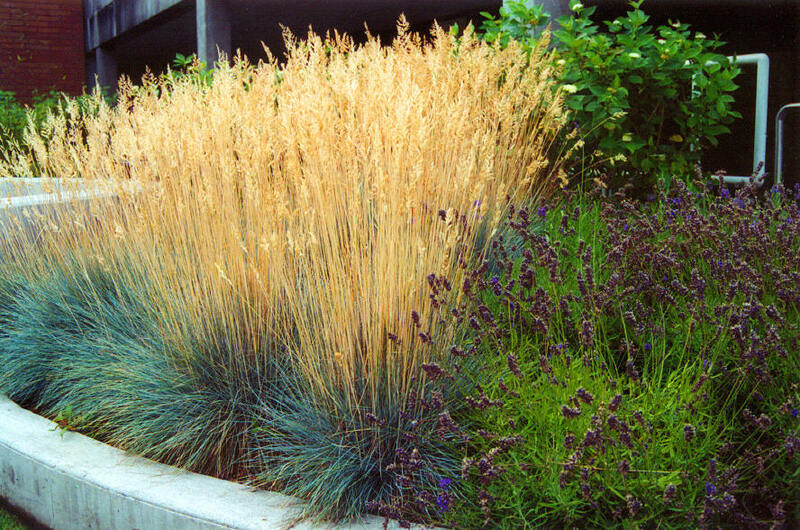 Working in conjunction with artist Virginia Paquette, the Van De Vanter Group incorporated planting, curbing and a small paved seating area. Dogwoods, Kelysii Dogwoods, star Magnolia, Blue Fountain Bamboo, Hostas, sword Ferns and Japanese Maple. 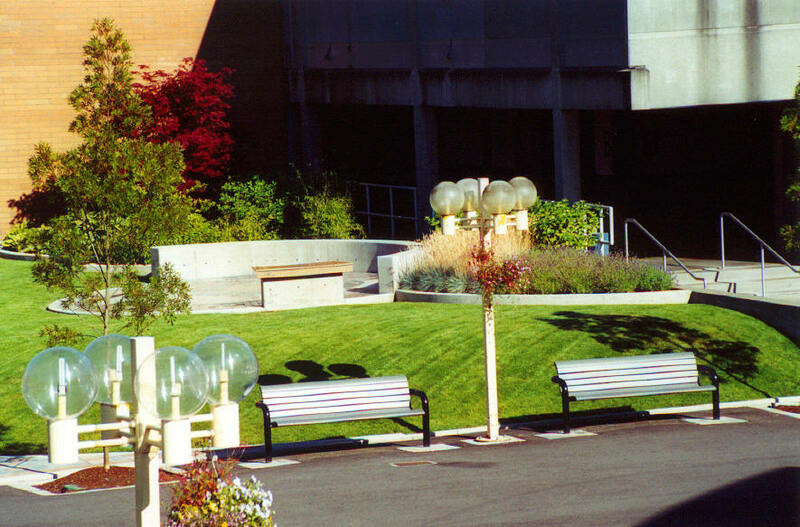 a place to relax during their breaks while on campus.